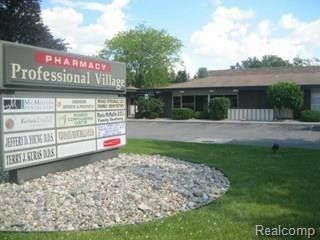 Commercial condo office building located in Monroe Professional Village. Medical use. Centrally located with plenty of parking. This available unit offers a spacious waiting room, receptionist area, 3 exam rooms, bathroom and full basement for storage. Why continue paying a monthly lease, when you can own your own office space in an established medical setting? This is a great opportunity. Don't miss out! Listing provided courtesy of Howard Hanna Birmingham.